Optimize your media relations training. For media relations coaching with keywords, the phrases to use in interviews (along with the brand message) are the keywords the company news content is optimized for. When the interviews or articles are published on or offline, many readers will remember the topic, but not the names of all the companies mentioned. More often than not, readers will go to go to Google and search the topic of the article whereupon the company has prominent visibility in the search results. The traffic this tactic generates includes both consumers searching for products/services as well as journalists researching stories. I’m a blog. Can you relate? Another emerging practice area for many digital PR practitioners is Blogger Relations. Pitching in media relations is similar in many ways to individual link building. Pitching bloggers for PR purposes or as part of a link building program can be a slippery slope when approached with traditional tactics. Most bloggers don’t respond well, if at all, to a mass distributed email pitch. For successful blogger relations, more effort must be undertaken into qualifying bloggers to determine their degree of influence, topics that are important to them and their readers. Pitching is customized and personal by default, not as an exception. Spin cycle to transparency. Most tenured PR professionals grew up in the industry on spin so it takes a bit of re-training to get more experienced media relations staff in the habit of social participation and transparency. Blogger relations is a never ending task of practice and refinement as is link building for search engine optimization. PR is still about persuasion though, so there will always be some aspect of the pitching effort designed for a particular messaging outcome just like there is an intended outcome for a link solicitation with SEO. That’s not “spin” as we know it today, but it is still about influence, a “sale” to be made, a media “hit” to score. Social crisis management. Another change with the increasing popularity of digital PR is how public relations practitioners handle crisis communications and the rapid spread of information online. In the past, PR professionals could call their contacts within the media to keep a negative story from getting coverage. With more and more editorial decisions in the hands of user generated content, there’s nothing any company or PR professional can do to stop negative news from being posted, ranted, commented and spread amongst blogs, Twitter and instant messaging. Listen to the brand conversation. Today’s participatory web requires companies to be involved with online communities in order to gain any kind of foothold on what’s being said and discussed about their brands. The notion that, “Conversations are happening with or without you, so get involved or get left behind”, rings true for brands and PR as well as for advertising and marketing. Brands need to be monitored continuously and when dissention is detected, it must be qualified and responded to quickly before it becomes a full blown crisis. Kryponite locks are a classic example of this and with the Bic pen fiasco still occupying top five search results, they could seriously use some SEO expertise with Search Engine Reputation Management. It’s about people, technology and keywords. Corporate PR and communications need to allocate ongoing software (social media and brand monitoring) and human resources (Community Manager) to this end in proportion to the value of their brand equity. The bigger the brand, the more you have to lose by not paying attention to what social communities and the blogosphere is saying. Social media monitoring is keyword based, so understanding keyword research from a SEO and branding perspective can be instrumental in an effective listening effort. As companies should “listen” to the social web for negative sentiment, they should also listen for evangelists. Reaching out to brand proponents and energizing their efforts with recognition and communication tools goes a long way towards building a brand online. It’s also the foundation for building community. Is it really about “Adapt or die”? When it comes to digital PR and the integration of online PR, social media and search engine optimization, it’s a critical moment for PR agencies and corporate PR departments: embrace the social web or it will embrace you. New methods of online communication and influence require new tools and skill sets on the part of online marketing and PR practitioners. Listening, participating and engaging with less direct message control mean agencies must adjust their organizations in order to adapt. It also requires new models for managing client expectations. Whether it’s optimizing news content for SEO, digital asset optimization for media and news assets or an integrated Push/Pull PR strategy involving both optimization and media/blogger outreach, new corporate “neural pathways” must be laid in order for companies to realize their place in the social web. The Point of Connection is coming. Are you going to the PRSA International conference? 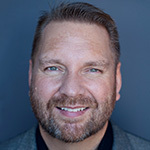 Then sign up a pre-conference workshop presented by TopRank’s CEO Lee Odden on “Optimizing Content for Optimum Results: Search Engine Optimization for News Content” during PRSA International event October 25th (1-5pm). I wrote about SEO and PR coming together on E-Consultancy, there seemed to be mixed views. As for Blogger Relations this is something that needs to be taken seriously, however does every niche have enough blogs? and actually how many of them have any influence? Leon, I’ll check that post out. With over 120 million blogs tracked by Technorati, there’s likely a blog for just about every niche you can imagine. If a blog has subscribers, it has influence. You can use advanced social media monitoring and anlysis tools to determine which blogs have influence and to some extent how much. Our client Radian6.com does this quite well. Lee, I suppose what I mean is does every sector have a blog that has broken through to become as powerful as its old media counterpart? For instance, Perez Hilton has near enough the same amount of influence/readers/following as celebrity magazines – can this be said for every niche? And although the internet is global by definition, do people still react more to homegrown content? I don’t think there are many media channels with a direct counterpart to old media. Besides old media/online media is an apples to oranges comparison. People watch TV and surf the web simultaneously. How do you segment those audiences? Great article! PR and social media go hand and hand. Just look at how the democratic and repblican parties are utilizing twitter for the upcoming election. Coming from a client perspective, I am used agencies NOT innovating because there’s no money in it. In fact I wrote a blog post entitled, “what’s the matter with agencies today”, http://trenchwars.wordpress.com/page/4. I am sure there are exceptions — but that’s the point. They are exceptions. The agency business model simply does not allow for investment in innovation. It’s sad — but true. In the end, clients must come up with their own marketing model. 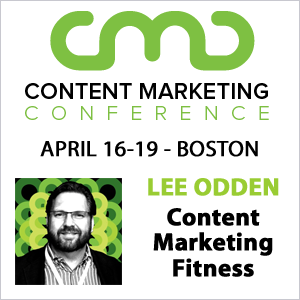 In my case, I developed a “content campaign” model that allows me to seed a concept across a multitude of channels – blogs, article marketing, PR, SEO etc. Once I had that model developed then I could engage agencies for some of the basic blocking and tackling. I suspect that many PR agencies will dabble in technology silo’s, e.g. SEO or social marketing or blogger relations. Again they miss the big picture — this “stuff” has to work together. I keep tilting at windmills … I’m the eternal optimist. […] Q: Point us to one or two recent postings on your blog that you think were superb, and tell us a bit about your writing process. How long did it take for you to come up with the topic?